Marks/Label: Three photos are stamped at bottom right corner with "C.V. MAXWELL / PHOTOGRAPHS". Narrative: The paperwork noted five photographs but only four were located in the collection. 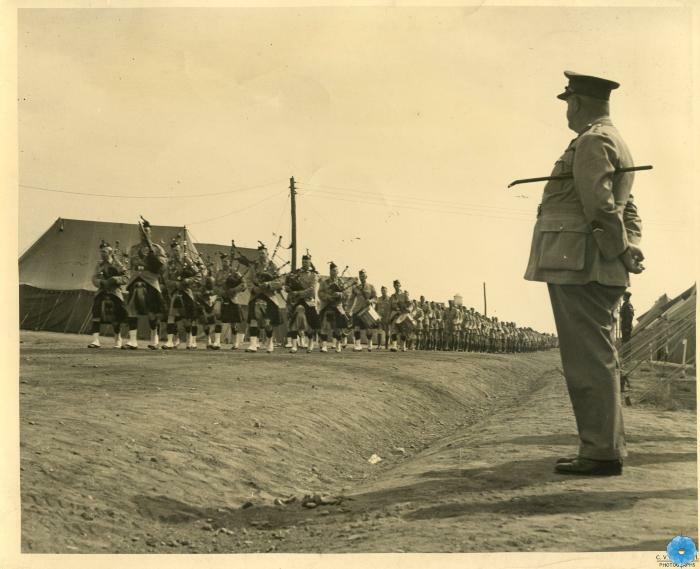 Description: Two photographs of soldiers training and one of a march past with pipers in Aldershot, Nova Scotia during the Second World War, and one photograph of a warship.